Receive instant 24 hour weather and weather alert information broadcast by NOAA right in the palm of your hand with the FIRST ALERT® SFA1135. 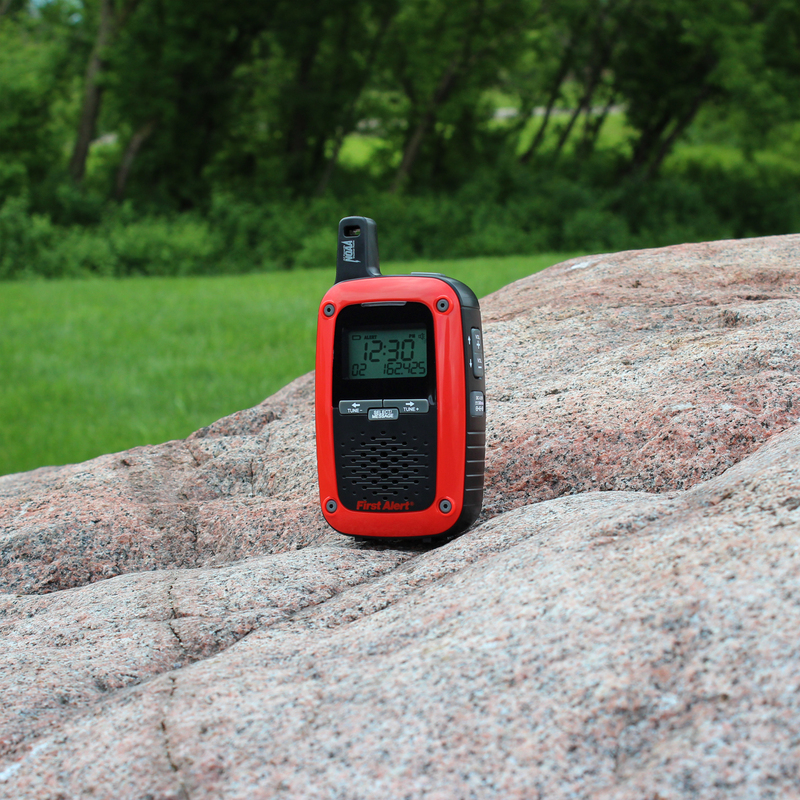 The SFA1135 is a portable and compact weather radio that allows you to set warning alarms for specific counties or certain types of watches using S.A.M.E. technology (Specific Area Message Encoding). The weather alert indicator features audible and visual alarms, which flash different color lights based on the emergency broadcast received; Red is a warning, Yellow is an advisory and Orange is a watch. 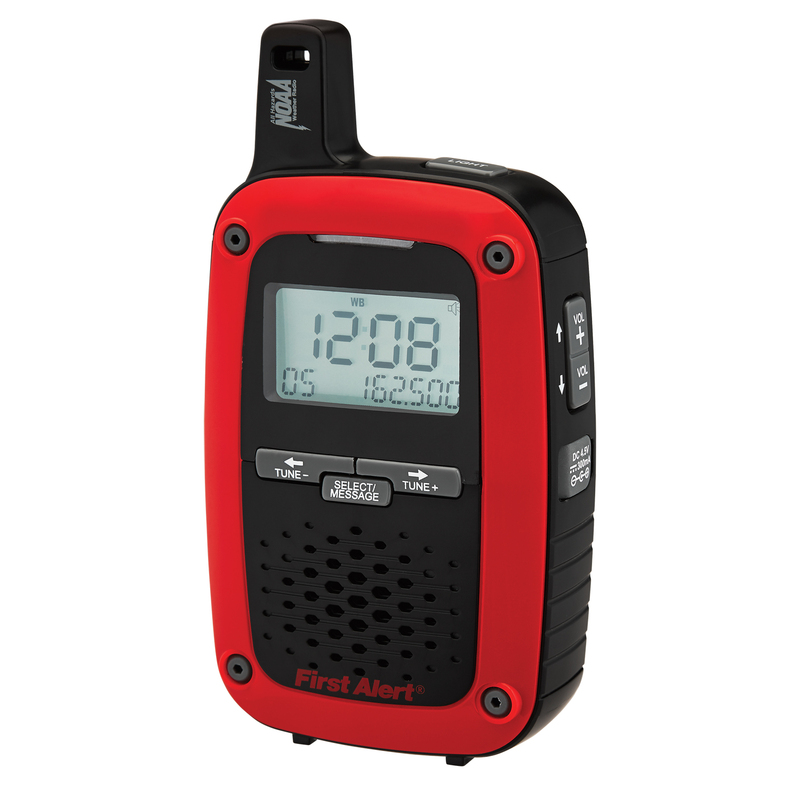 This handy, five (5) inch tall pocket radio also features AM/FM digital tuning, digital volume control, built-in antenna and speaker, and a multi-function backlit LCD display. The SFA1135 includes a belt clip that also converts into a flip-out stand. Get all the latest weather news with this convenient and compact FIRST ALERT weather radio!